Did you enjoy last month’s Poppins Book Nook featuring Castles, Kings, and all things royal? Well, you’re in for a treat this month, too. 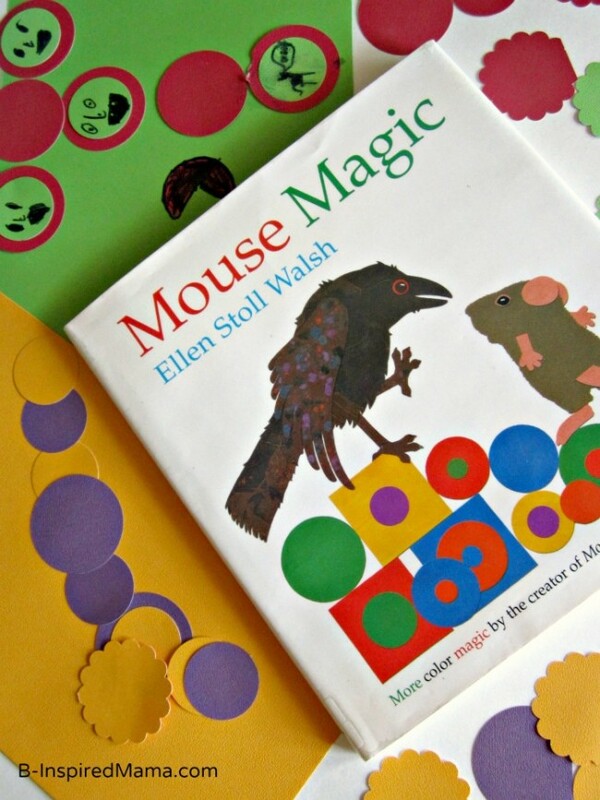 When we scoured the library for all things wizard and sorcery, I was thrilled to find a fun book by famed Mouse Paint author, Ellen Stoll Walsh. This one focuses on exploring color, too. And this time a little mouse and her wizard crow friend have fun with “magic” complementary colors. Seeing the complementary colors seemingly jump off the page was so much fun and inspired a fun kids art project. 1. 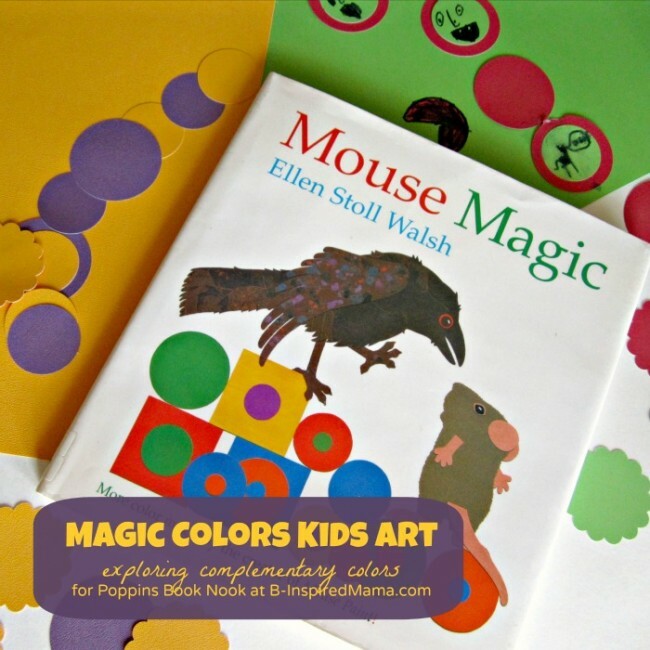 Read Mouse Magic and talk about complementary colors. Complementary colors are across from one another on the color wheel (i.e. red and green; blue and orange; purple and yellow). They contrast from one another and seem to “jump” or bounce off of one another when used together. 2. Have your child choose one set of complementary colors. Give them a couple pieces of cardstock or paper in each of the colors, and then have them choose which one they will use as the background. 4. 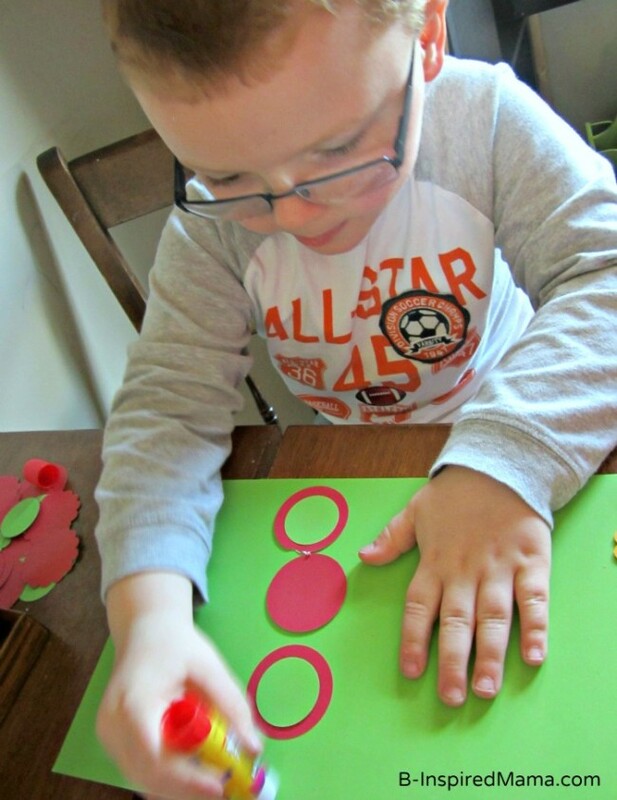 Let your little one make complementary color “magic” by layering and gluing their complementary color circles onto their complementary color paper background. Previous Post: « Thank You for Subscribing to Get More Fun Finds for Kids!